A quick guide on how to reverse sear and cook steaks like a pro! The “reverse sear” method sounds a lot more complicated then it is – when this first crossed my desk several years ago, I was hesitant to try it. After all the traditional methods had always cooked great steaks, so why risk a quality cut of meat on an unknown technique? But thankfully I eventually gave it a whirl and basically never looked backed since. But that’s not to say that reverse searing is the only way I cook my steaks these days – I’ve simply learned to embrace the variety of ways a steak can be cooked and still produce amazing results. So what is the reverse sear? It’s very simply – cooking your steak on low until rare/med rare temps are reached – then removing from the heat to rest while bringing your grill temperature up and then searing for the final finish. That’s it. No crazy techniques – and this can also be done in an oven *shudder* if needed. The steak featured here is a Prime Dry Aged Boneless Ribeye that my wife got me as a present. Using this method of cooking combined with this high quality of a steak created one of the best steaks I’ve ever had in my life. Hands down – top 5 steak. 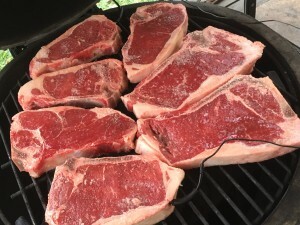 Once you’ve hit 225-250 indirect, place your steak(s) on the grid – I used the Thermoworks Dot to monitor the temp of my steaks when doing this method. This ensures that I nail the cook every time. Meanwhile, remove the plate setter from the egg, open the vents wide and crank it up to 11. Actually, get it close to 500-550. Once you’ve hit 550 (maybe 5-10 minutes tops) – burp your egg and throw the steak(s) back on (without your DOT so you don’t torch the temp probe cord. 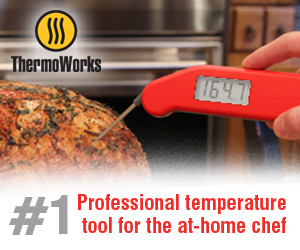 Switch to the Thermapen to check your temps as you flip). 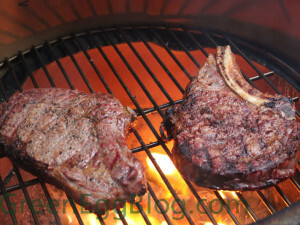 While searing 1 minute each side – watch the steak temps. Once it starts to move north again, pull the steaks when they hit 125. 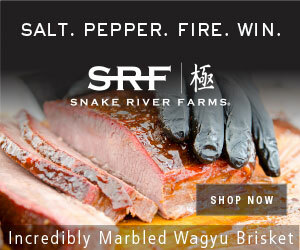 You don’t have to – but you can let the steaks rest again – the temp will climb to 130ish again in a few minutes. That’s it – serve & enjoy! So can you show pics of the grill set-up in the indirect mode and then the direct heat mode. I am sure i know what you are talking about just not sure how you switch. won’t the plate crack if it is remover hot like that?